This home has awesome views of Grand. Beautiful sunrise every day. 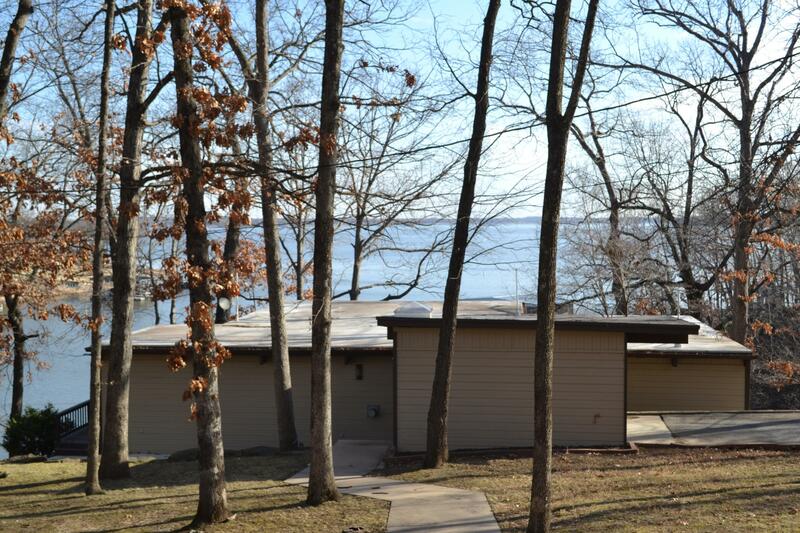 Home features 3 bedrooms, 2 baths, and a spacious kitchen & dining area with wall of windows across the lake front. Kitchen also features a breakfast bar, icemaker and pantry. Livingroom has fireplace, huge Bar and tons or room. 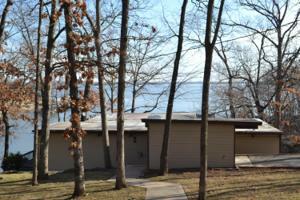 Master suite has great views of the lake. And a large shower and two large closets. Every room in this house is spacious with plenty of room for entertaining. Downstairs has 2 bedrooms, laundry room and spacious bathroom. Lots of windows in each room. Plus an enclosed sunroom and deck off the kitchen. 2 slip dock in a deep water cove and storage building for lake toys.